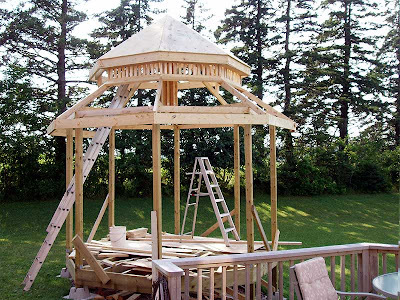 The gazebo roof is finally starting to take shape with the addition of some sheathing on the upper roof and some vent spindles this week. 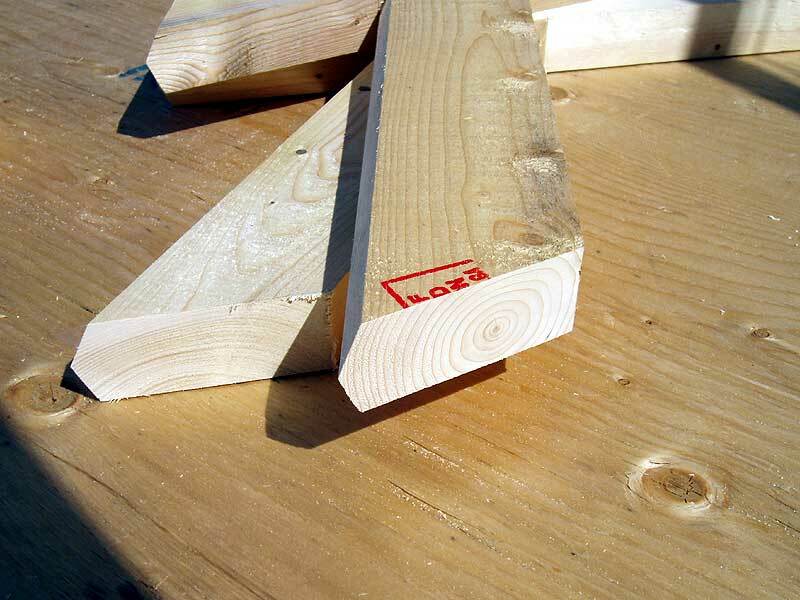 It has been a long time coming because there was a major change in the design of that section of the roof. 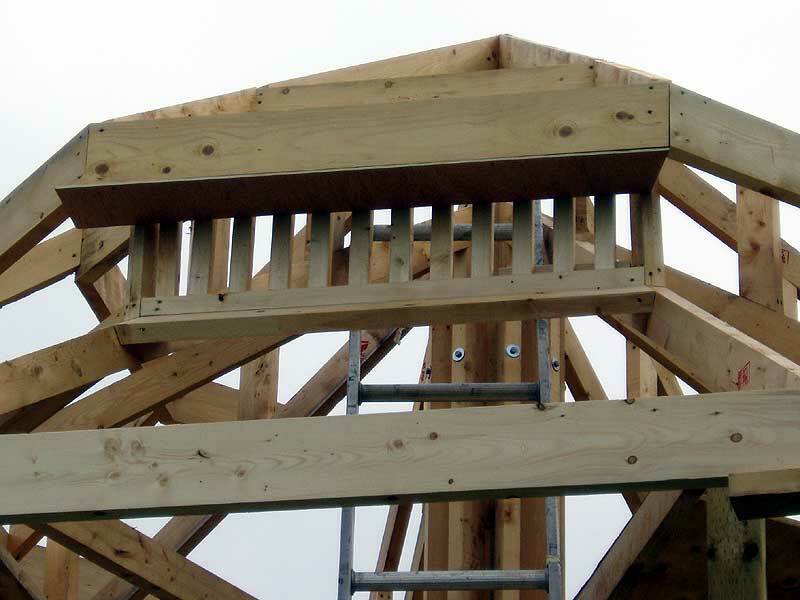 In a previous post there is a picture of Hubby gazing up at the underside of newly erected roof trusses and I joked that he was congratulating himself on a job well done. It turns out that he was taking notice of something that I had seen a couple of days before, namely that the secondary roof was way too small. 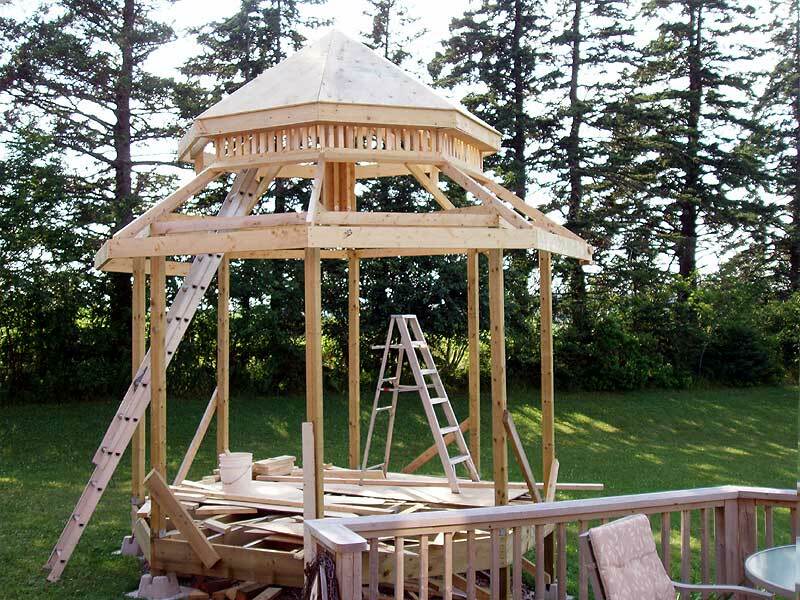 “It looks like a spaceship has landed on our gazebo!” he said by way of illustrating his concern and I had to agree. Maybe I should have told him that I had noticed the same thing earlier while the whole structure was still on the ground but he did seem so pleased with it that I didn’t want to hurt his feelings by criticizing. So the question was what to do about it. He really didn’t want to disassemble the whole upper roof and then try to haul a much bigger piece back up in the air so he decided to just add on new tail pieces to the ends of the rafters. It sounds easy but it was very time consuming. It was worth the trouble though; the new shape suits the size of the building much better. 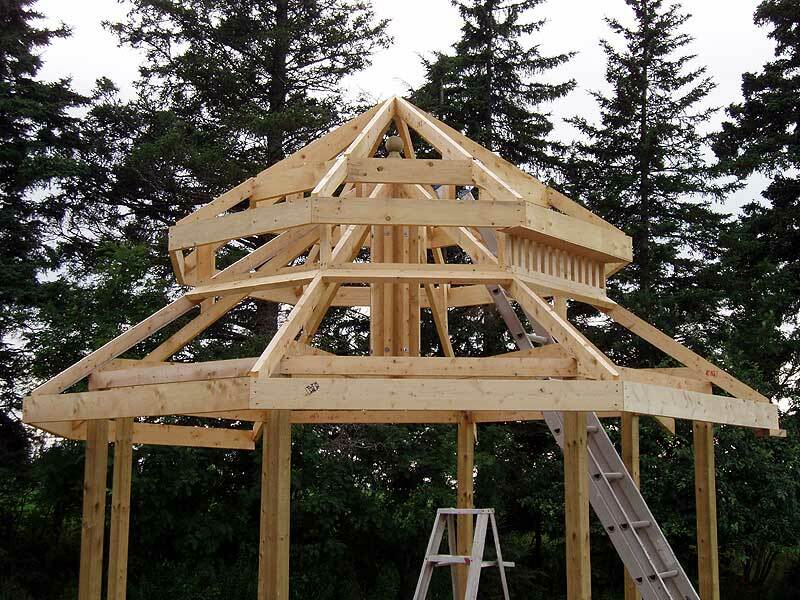 This week he has started adding eaves and soffits on the upper roof. He has also put in some of the spindles which cover the vent space between the two roofs. There is even some plywood installed on the upper roof which can only mean that shingling will begin soon! Let’s hope so because he is back to work next week so he won’t have as much time to build every day. There’s only so much summer left! I love it, it's really taking shape now isn't it. I will have to show my hubby this as I know he will love it also. yeah...I hate that when I'm working on something and realize I need to make some changes. Looks GREAT though! I am really looking forward to the finished product!